Do you want to learn more about Tigernuts Traders? We have made a short video to explain who we are. Because we are Tigernuts. I’m Daniel Carrión, manager of Tigernuts Traders, a Valencian company leader in Tigernuts and its derivatives commercialization. We have to go back to 1997, the year when the company was established, to better understand our mission, make this tiny tuber and its amazing properties known worldwide. Since then we have been evolving to get to the point where we are now, worldwide leaders in Tiger Nuts commercialization and cultivation having own managed farms in different locations worldwide. In our company everything turns around Tigernuts, but for those who don’t know about the product yet, permit me doing an introduction. Tiger Nuts, or chufa in Spanish, it’s a very delicious tuber with amazing properties. They aren’t a new product; indeed, they were already consumed during paleolithic era and since then different civilizations have given them a key role in healthy and balanced diets. Somehow its consumption decreased and there are records confirming at the decade of 1960’s it was only planted in Valencia (Spain) and in West African countries. Although its traditional uses have been to chew them or produce Horchata (a traditional Tiger Nuts milk manufactured in Valencia region), from our company we have always believed in investigation, development and innovation with an only objective in mind, offering as much different products out of this exotic food for inviting everyone to give it a try. We want to offer healthy and unique foodstuff covering nutritional and alimentary requirements of consumers for their health and welfare. For this reason, our company works ceaselessly studying and developing the infinite possibilities of a product that was consumed by the most advanced civilizations and that we have re-discovered. This modest project, born more than 20 years ago, has grown exponentially and nowadays we are selling our products worldwide, essentially for foodstuff industry but paying attention to the emerging markets were Tiger Nuts is getting introduced, such as cosmetic industry. Our company has always waged in investing in research, development and innovation. This has been our spirit from the very beginning and we are conscious that in this path is the present and future of our customers and clients. With this idea in mind we work in the constant evolution of our products range, and a proof of this desire to improve is that we spare no expenses to obtain novelty and top-quality products. Attending to our customers’ demands, and applying a sustainable vision on the lands we raise, Tigernuts Traders started planting under organic certification, being pioneers in this kind of crops. Nowadays we are the largest supplier of Organic Tigernuts worldwide, having stock enough to deal with any request we may receive. But our compromise with quality goes further from the fields. Once Tiger Nuts get to our factory all the tubers pass through an exclusive selection process handled by our well-trained team to make sure only the best quality product gets to our customers. We do and exhaustive cleaning of the Tiger Nuts, eliminating sand, stones and any other material that is not a Tiger Nut. Then we process all them through our hi-tech colour sorting machine which scans every tuber and eliminates all the non-standardized product. The final product accomplishes the highest quality standards. Our quality department takes samples of every batch and make exhaustive analytical reports to assure the product we supply accomplishes all our customer’s standards. 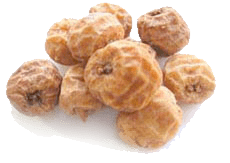 Our objective is to always offer the best quality Tiger Nuts in the market. The one other objective we work for daily is to satisfy any demand of product at any time of the year. To achieve this, we count with a talented, motivated and multi-language professionals team. And this is because we keep basing our business in a personalized attention to every customer, listening and understanding every case requirements. This has enhanced our logistics to arrive to over 30 different countries worldwide. The qualities of our human capital and our individualized service permits us offering Tiger Nuts all year round, because your satisfaction is our satisfaction. Innovate, making the difference and offering the best quality has always been our goal. This is our corporate philosophy, the one that moves us every day to offer the best quality product at the shortest delays.